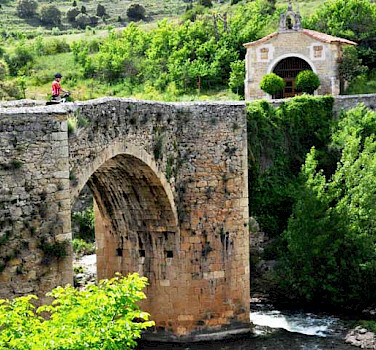 This unique bike tour in Spain follows the the Ebro River, the country's longest, as it flows from its source in the Cantabrian Mountains. It begins as a mountain stream, gathering strength and force as it flows, passing through green pastures, valleys, imposing canyons, vineyards, and lovely, secluded villages. Cycling this region allows you to experience the changes in the landscape and the river itself. As you descend, following the banks, the river widens and the climate and the vegetation change from the cool, dry mountain climate, slowly becoming more Mediterranean. Upon arrival in La Rioja, home of the finest Spanish wines, a sea of vineyards dotted with ancient villages, castles and wineries will be your backdrop. 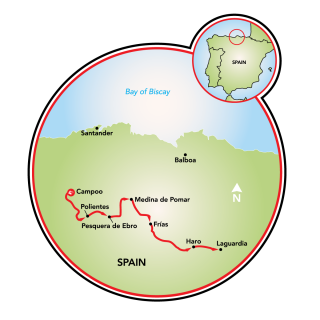 This is a perfect bike tour for those who wish to visit parts of Spain that most tourists never see. 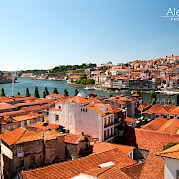 Picturesque villages, river bank scenery and world famous wine! 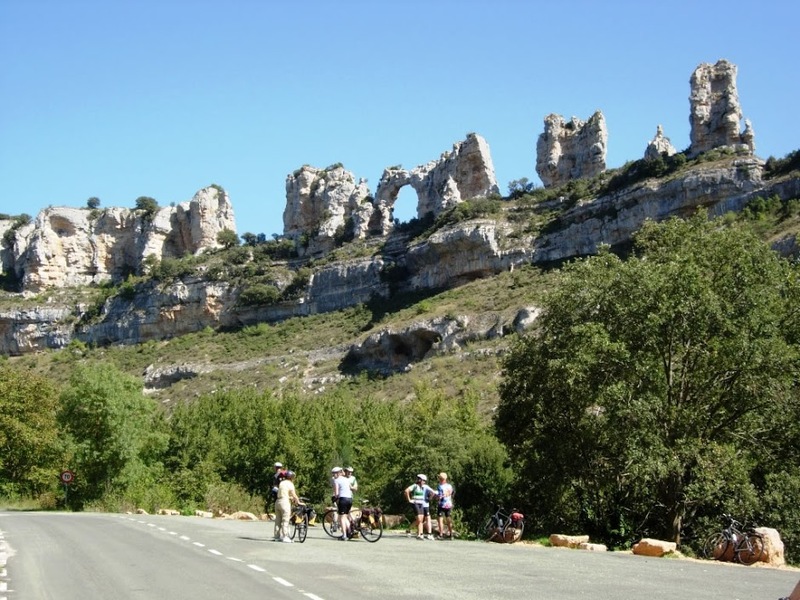 Want to see more of our bike tours in Spain? *Ask us for extra night pricing! 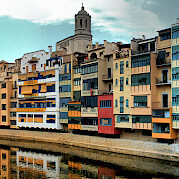 We can offer hotel accommodations in Bilbao, San Sebastian, and at the beginning or end of your tour in tour hotels. The closest airport for arrival is the Santander Airport and the most convenient for departure is the Bilbao Airport. 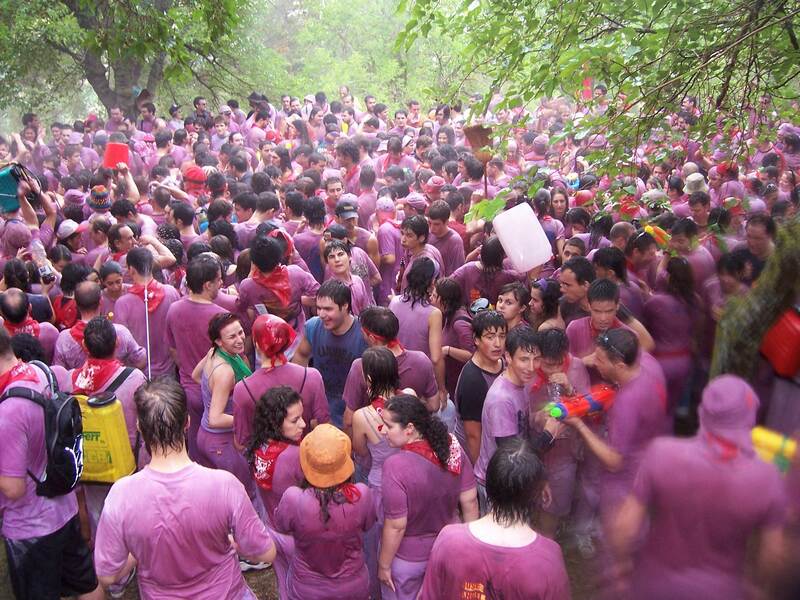 However, it may be easier to book flights to and from Bilbao. It is important to remember that at the end of the tour, the transfer time from Laguardia to Bilbao is 90 minutes so departure time from Laguardia would be three and a half hours before flight time. Generally return transfers are scheduled to depart from Laguardia at 9 a.m. Please check local conditions before your arrival. A good website to research average high/low temperatures, average rainfall, and more is weatherbase.com. You can rent an electric bike or tandem with this tour. Spend an extra night in Bilbao and visit the city and the Guggenheim Museum (Remember the museum is closed on Monday except during the months of July and August when it is open every day). 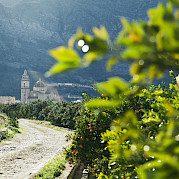 Or ask us for recommendations for extra nights in San Sebastián or La Rioja. Non standard tour days are possible for a supplement. See pricing. This route is rated easy to moderate as generally follows the Ebro River as it flows downstream. Some days involve some climbing when the route leads away from the river. Arrival in Santander or Bilbao and transfer to the first hotel in Campoo, located in the high Ebro. Be sure to climb on your bikes for a short test ride before you begin your journey. Your first stage leads through some fabulous and unspoilt scenery. From the green mountain pastures of the Cantabrian Mountains, along the shores of the Ebro Reservoir, past the Monastery of Montesclaros surrounded by forests, you will rejoin the Ebro in the Valley of Valderredible for your first overnight in Polientes. 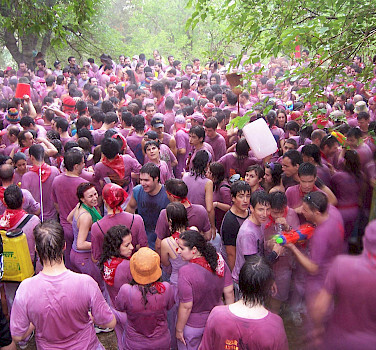 You can also opt for a shorter version which follows the river directly to Polientes. (The longer version circumnavigates the Ebro Reservoir). The day begins with cycling through the open valley of Valderredible. You will want to take the opportunity to visit the Romanesque church of San Martín de Elines and also the churches carved into the very rock, characteristic of this region. As you progress down the river, the sides of the valley begin to close in until you reach a marvellous canyon of ever-increasing dimensions, where eagles and vultures soar overhead. The fairytale village of Orbaneja del Castillo with its cascades running through the village will beckon you for a reprieve. Later, approaching Pesquera, the Ebro Canyon soars above the river to unbelievable dimensions. The route is stunning today, following a huge bend of the river through the most picturesque and undiscovered villages that seem straight out of a romantic ballad, even the humblest contain a palace and Romanesque church. An optional extension will lead to the dramatic village of Puentedey, built on a natural rock bridge over the Nela River. Overnight this evening is the Castilian town of Medina de Pomar with its old Jewish quarter and its castle dominating the town and the surrounding landscape. From Medina, you will head back to Ebro, following a quiet country road that runs parallel to the river and the valley begins to open up again. The Romanesque church of San Pedro de Tejada is well worth a visit. 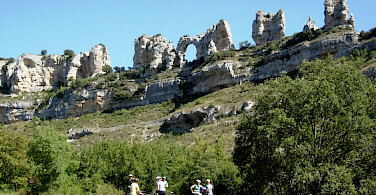 Soon, you will be cycling once again through another canyon, which then opens out into the fertile valley around Frías. This is a spectacular village built around its castle with spectacular views of the Ebro Valley. Leaving Frías, the valley begins to close in again until you find yourself in another spectacular canyon. The road runs along the shores of a reservoir surrounded by high mountains and through short tunnels carved out of the rock. 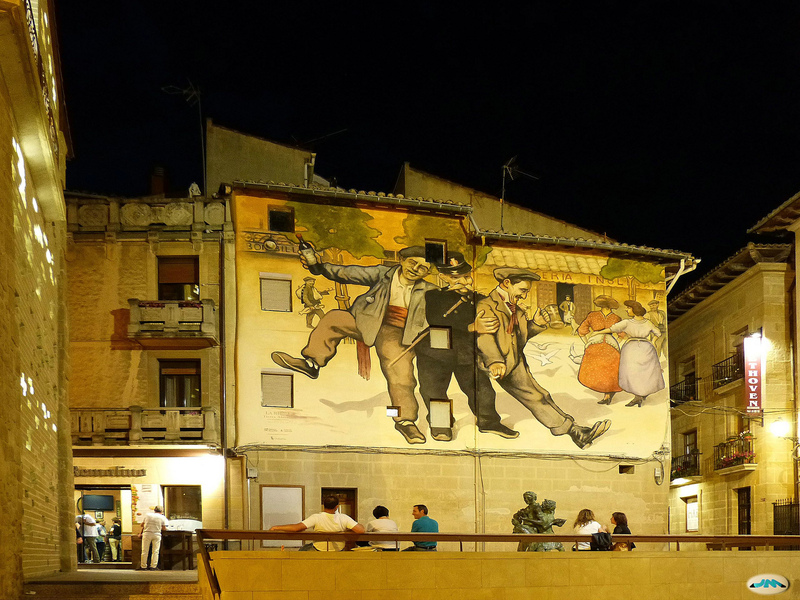 The route crosses the little town of Miranda del Ebro before passing through imposing peaks that signal the gateway to the enormous open valley of La Rioja. Tonight is spent in the wine-producing village of Haro. 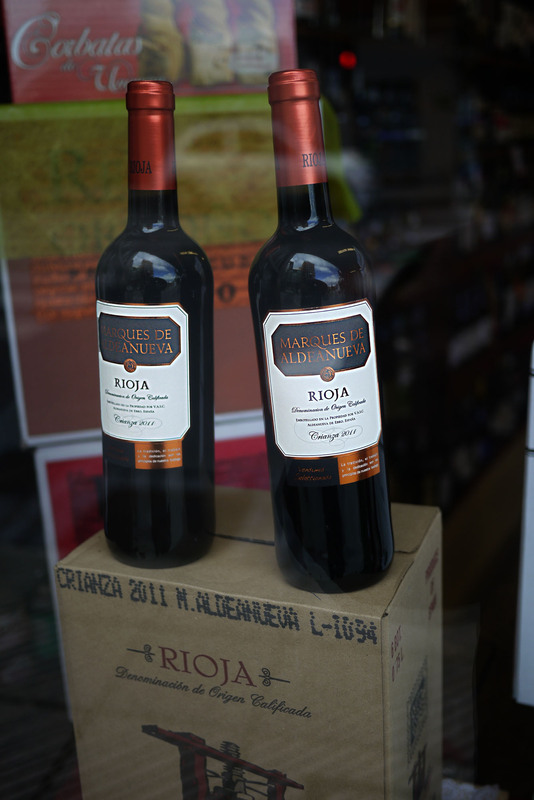 Be sure to sample a glass or two of Rioja Wine in the very place of its origin. 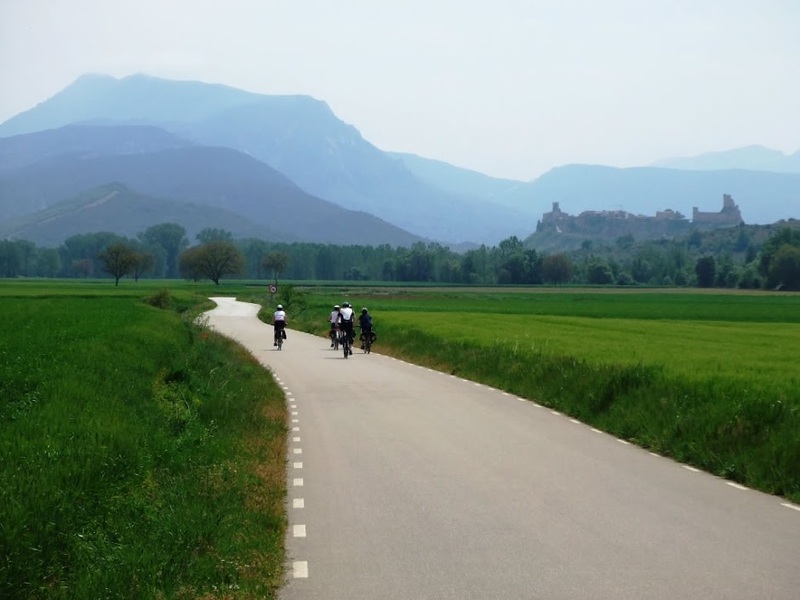 Today you cycle through endless vineyards and numerous picturesque villages of La Rioja with the backdrop of the Sierra de Cantabria mountains and the Ebro never too far away. 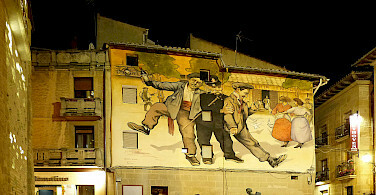 The day's destination is the walled medieval village of Laguardia where, as in Haro, wine is almost a way of life! Transfer from Laguardia to Bilbao at approximately 9 am. It is important to remember that at the end of the tour, the transfer time from Laguardia to Bilbao is 90 minutes, so allowing for a 2-hour check in time, departure time from Laguardia would be three and a half hours before flight time. Keep this in mind for departing flight times. Perhaps you would rather book an extra night after your tour in Bilbao. This tour is run by IberoCycle. Thanks for your feedback! I wanted to let you know that we do have GPS tracks available for this tour on request. Astounding scenery. Experiencing the country off the beaten path. Seeing medieval villages and sights I never would have found on my own. We did feel that the difficulty of the ride was somewhat underrated, but we would still highly recommend it. Great trip, cannot say enough about the lovely small towns we stayed in, with awesome inn keepers. This was exactly what we hoped to experience and we did. Trip although rural, had great scenery. 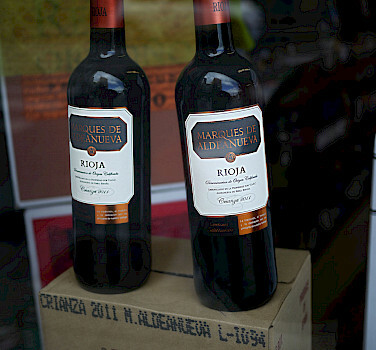 Of course the Rioja wines were what this trip was (mostly) about and they were so delicious for a low cost. It was great to stop for lunch and have delicious coffee and diverse tapas. The scenery was beautiful with great geological formations along the Ebro River. The history was fascinating. We saw cave dwellings from around 500 a.d., churches from 1100 and later. We had an extra day in Bilbao where we visited the Guggenheim Museum and the many festivities in the surrounding park. It was especially enjoyable to talk to local people about their life in Spain. It was my second trip managed by Tripsite and everything was perfect. The route was amazing.